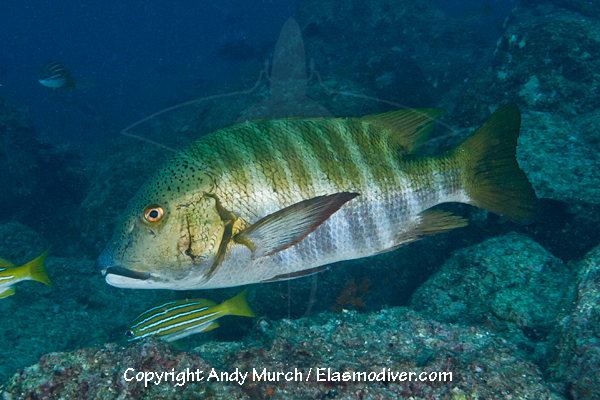 The Barred Pargo (Hoplopagrus guentherii) is a large species of snapper from the Sea of Cortez and Eastern Pacific. It can be distinguished by the double bands of vertical bars on its sides. 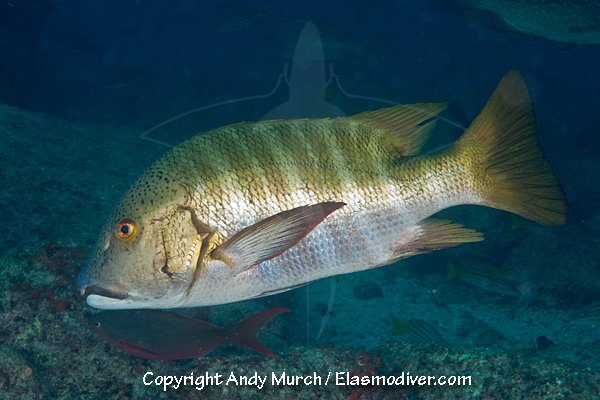 These Barred Pargo pictures are available for commercial licensing. For further information regarding usage please e-mail Elasmodiver. All of the images on elasmodiver.com are copyright protected. No unauthorized use of these Barred Pargo pictures is permitted. Please contact Elasmodiver for further information.